Thousands of data and customer information records are wasted because they do not have tools and reference information for adequate analysis. 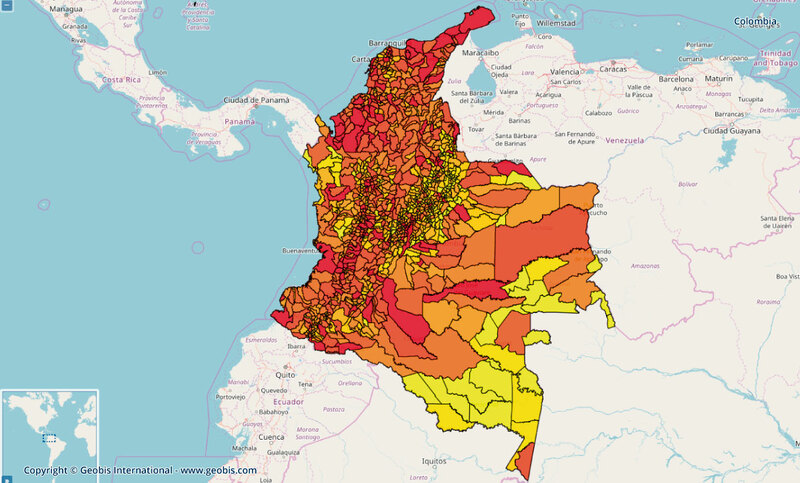 Geobis offers a set of appropriate alternatives in a few steps to understand issues associated with the geographical location of customers and relations of great importance that these saved with the demographic and socioeconomic. Businesses waste thousands of customer information records and valuable data because they do not have tools and reference information for an adequate analysis. 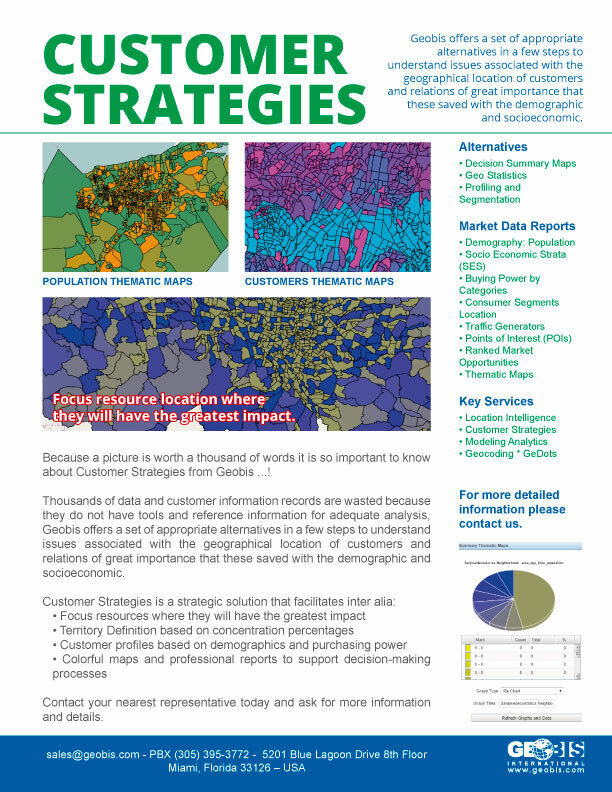 Geobis offers a set of alternatives to assist in understanding issues associated with the geographic location of customers and their importance in demographic and socioeconomic factors. » Focus resource location where they will have the greatest impact. » Perform territory definition based on concentration percentages. 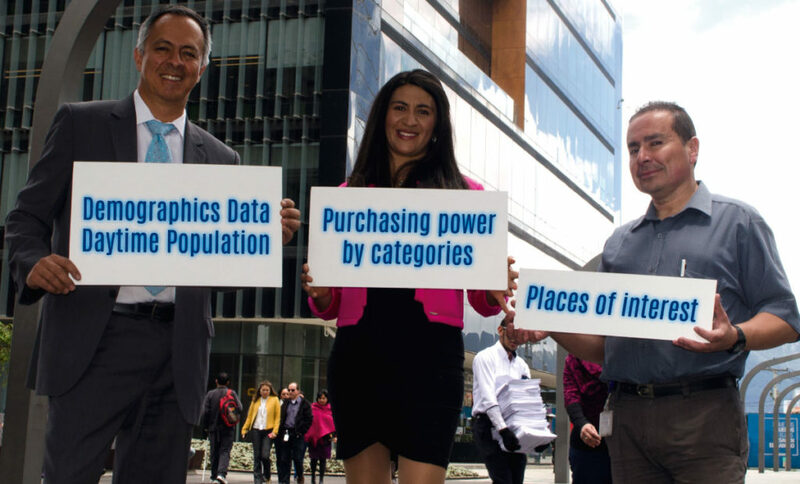 » Develop customer profiles based on demographics and purchasing power. 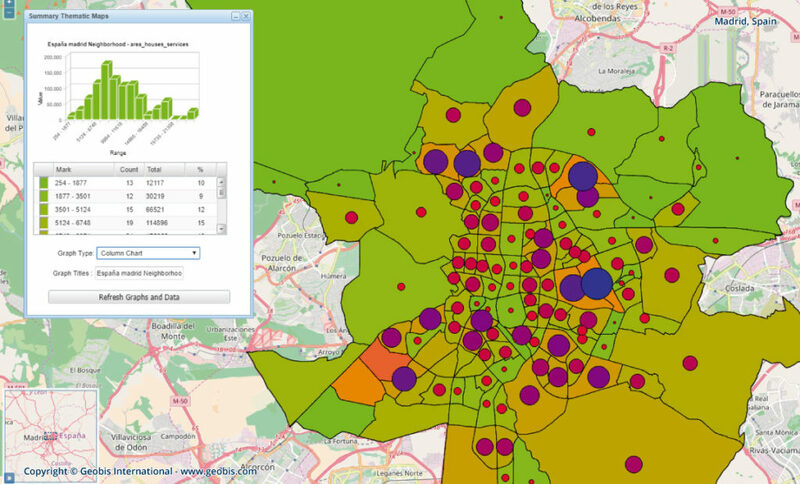 » Obtain colorful maps and professional reports to support decision-making processes.